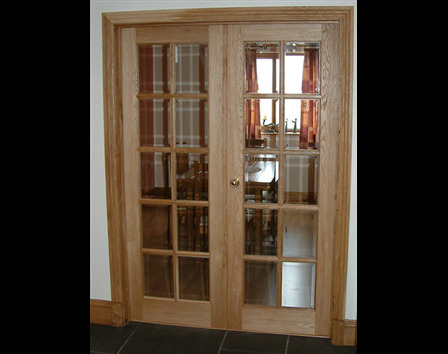 Our classic, 10 pane internal oak door looks at home with almost any style of property or interior, its elegant proportions and bevelled glass adding a subtle touch of luxury as well as a sense of light and space. Available in a choice of standard sizes which can be slightly adjusted if required, it can also be made as a bespoke internal oak door to 1000mm x 2100mm. It is 40mm thick giving it the look and feel of a traditionally handbuilt door, as well as added resistance to noise. Choose from a sanded finish to be sealed after hanging, or have one of our door finishes applied in our workshops. Standard sizes are normally available from stock. Bespoke sizes normally have a lead time of around 12 weeks.